On Oct. 10 at around 6 p.m., a fire was reported in a basement laboratory in Exley Science Center. The Middletown Fire Department arrived promptly on the scene, and the fire was extinguished before spreading from the room. The origin of the fire appeared to be unattended chemicals left on a hot plate. Director of the Office of Public Safety Scott Rodhe addressed the fire in an all-campus email. The fire alarm sounded close to 6 p.m., at which time students evacuated the building. Exley remained closed until 7:05 p.m. It reopened to students and University employees after an environmental check. The fire trucks that had gathered on Lawn Street also left the premises. “After the fire officials finished their work the building returned to normal use,” Rohde wrote in an email to the Argus. 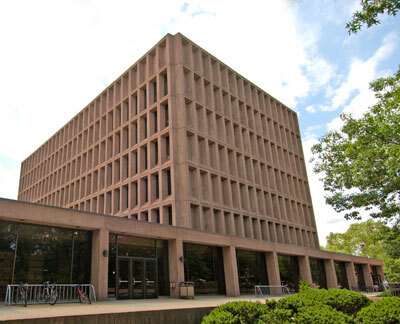 The laboratory in which the fire occurred is located in the Exley basement, neighboring the lecture hall of Exley 58 and a professor’s office. Rohde noted that no damage was sustained to the lab. “My understanding was that a fire extinguisher was used,” he added. The fire impacted multiple aspects of Exley’s evening activities, including a screening of “Chasing Coral” meant to occur at 7 p.m. Student Sarah Mount ’20 who planned to attend the event derailed her plans when she discovered Exley was closed. Though the event did end up taking place 15 minutes later than it was meant to start, Mount skipped the event under the impression it would not occur and was frustrated that she missed it. Emma Greenfield ’20 also explained that the fire impacted her evening plans in Exley. Multiple students, including employees of Exley’s Science Library, noted the inconvenience of being obligated to leave the building. In addition, students passing by Exley during the time of evacuation noted seeing an abandoned Exley and Pi Café, and weren’t sure what to make of it. Public Safety officers on the scene, when asked as to the cause of the fire, declined to comment. This article was amended to include information from an email sent to the Argus by Director of the Office of Public Safety Scott Rodhe.